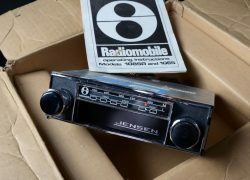 Item description: An extremely rare new old stock Radiomobile ‘108’ series ‘Jensen Flap’ radio / 8 track player. 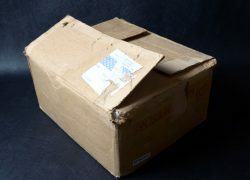 The unit still contained within its original box and packaging, as sent out by Radiomobile. 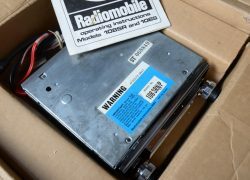 As one would expect, the unit bears all the Radiomobile labels including serial numbers, and this number is the same as stamped to the outer packaging. The original instructions are also with the unit. Condition report: The unit has been tested and is working (no warranty implied), but as with all old radio equipment should be checked by a specialist before fitting to a vehicle. 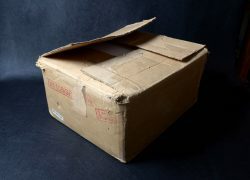 Special notes: In some respects, it would be a great shame to fit this unit to a car, as it could easily be the only new old stock unit with packaging, left in the world.